Since December, 2018 SOS Children’s Villages Georgia has commenced implementation of the project “Youth Empowerment for Success” in partnership with Hermann-Gmeiner-Fonds Deutchland and World Vision Georgia, with the financial support of the Federal Foreign office of Germany and GIZ. The goal of the project is to empower vulnerable children and young people residing in rural areas to become contributing members of their society. The action promotes an establishment of an innovative knowledge-sharing platform –Youth clubs – dedicated to the enhancement of their employability and civic engagement skills. 8 clubs will be established in 4 regions of Georgia (Zugdidi, Kutaisi, Akhaltsikhe and Telavi) targeting 120 disadvantaged youth as direct beneficiaries and 600 as final beneficiaries. 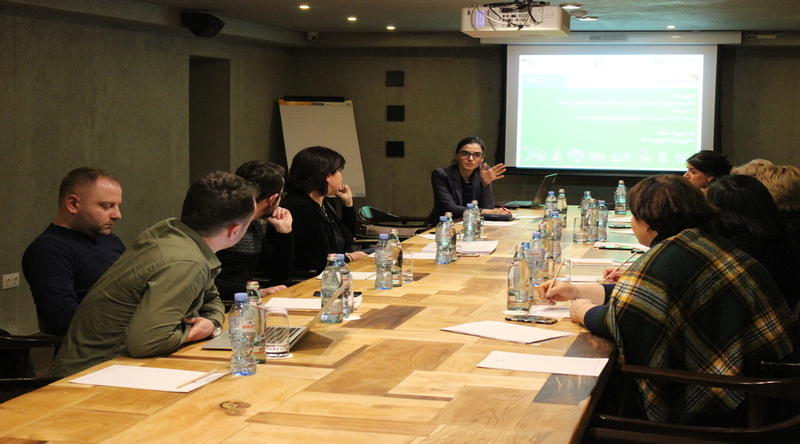 On the December 27, the project staff of SOS Children’s Villages Georgia and World Vision Georgia took part in a Kick off workshop, where the major steps of the project were discussed.